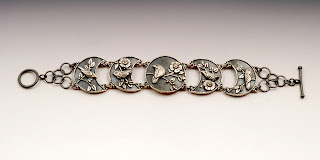 Vickie Hallmark jewelry design Vickie Hallmark: Bracelet Shows Opens Tomorrow! The Fourth Annual Bracelet Show at Kathleen Sommers in San Antonio will host a reception with the artists tomorrow. If you're in the area, please come see more than 100 bracelets by over 60 artists. 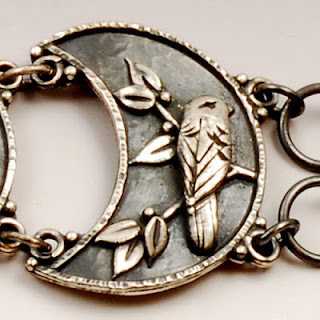 You can get in a little holiday shopping (and of course they carry lots of merchandize beyond the bracelets), as well as support a good cause. Ten percent of the proceeds go to the scholarship fund of the Southwest School of Art. 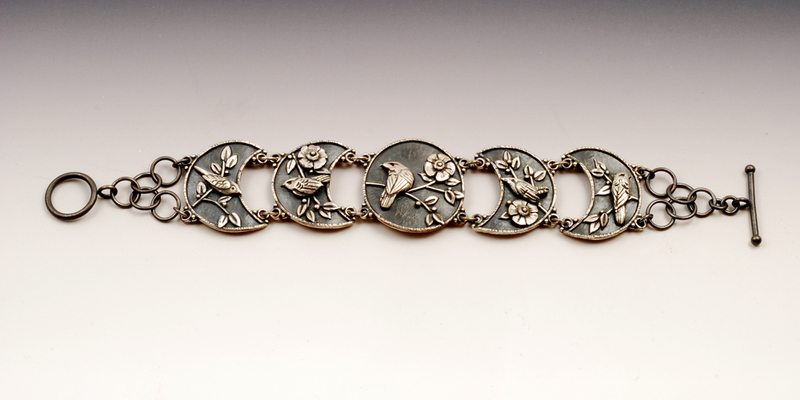 I'll be there to revisit my Five Moons bracelet, which I shipped off immediately after finishing it. Since it's long and doesn't photograph well, here are some detail shots to give a better view. 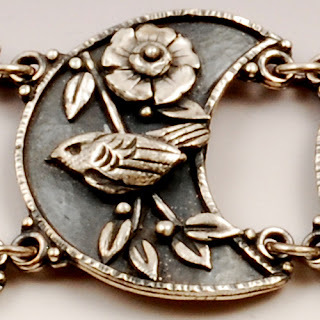 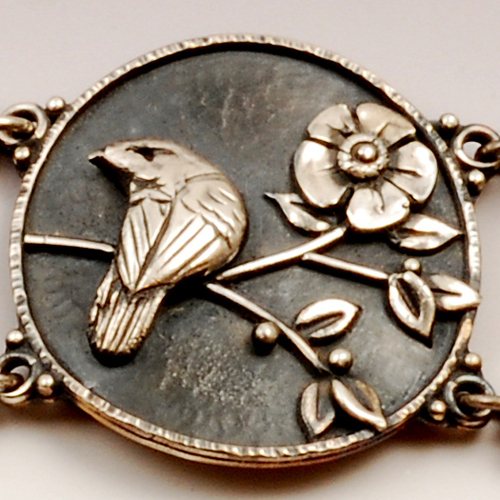 All the birds, flowers and leaves are individually sculpted by hand from fine silver clay and then kiln fired. 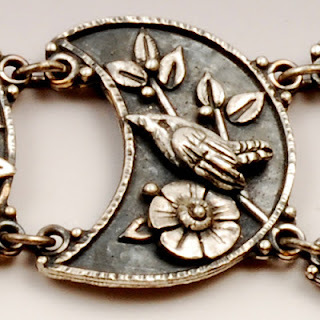 The individual links of the bracelet are completely hand fabricated from Argentium sheet and wire, and then the sculptural elements are fused into place. 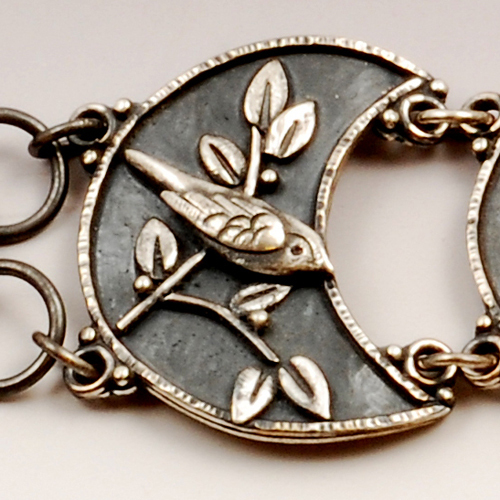 Even the chain and toggle clasp are all completely hand fabricated. Truly a labor of love!